The last post we did on Bluetooth speakers was about speakers under $50. Now, we’ll be dealing with the best Bluetooth speakers under $100 in 2018. If you haven’t noticed, Bluetooth speakers are one of our favorite subjects. We want to cover it as much as possible to give you the inside scoop on what’s up with the Bluetooth world. But we also want to give objective reviews to make sure your investment doesn’t go to waste. So here we go giving our best review on Bluetooth speakers under $100 in 2018 in no particular order. 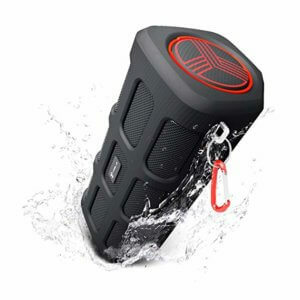 We covered this speaker in our best waterproof Bluetooth speakers. And there’s a reason it keeps popping up. It covers 3 major areas for consumers. The first area is its affordability. With a price tag under $100, you’ll get the best value for a solid price. What you’ll also get is durability. Its rating of IPX7 rating is great because it means the speaker can be submerged 1 meter deep for 30 minutes. This gives you plenty of time to deep dive into the pool and grab it before it dysfunctions. And honestly, 30 minutes is enough time to grab a meal, digest it, and then grab the Aomais Sport 2 portable Bluetooth speaker. This type of durability makes it great for you to carry it wherever you go. 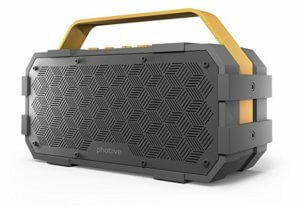 Although the overall shape of the design makes it look like a boombox, this speaker’s material is modern. 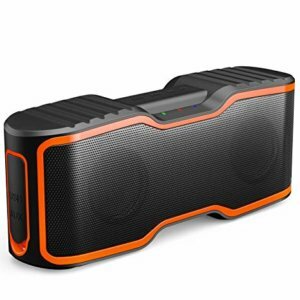 With a rubberized exterior and metal grating, this speaker has all the tools making it great for on-the-go. Also, the rubberized exterior makes it excellent for handling against tough weather. One more important function of the design is it doesn’t interfere with any other function. There are times when a speaker’s design disrupts a speaker’s sound quality but that isn’t the case here. You get a full-functioning speaker which operates to its full potential. Another speaker which we’ve recently reviewed makes an appearance. This speaker is great for people on a budget who want to make every dollar count. Its sound quality is great because it comes with 2 drivers that have a total power output of 6 watts. In addition to that is its passive bass radiator. For those who don’t want to click on the link, a passive bass radiator allows a Bluetooth speaker to punch above its weight. What we mean by that is it can provide more bass like a regular speaker, but at a smaller size. Another component which you might not understand is the 2 drivers. These bad boys basically turn your audio signal into sound waves. Basically, the more of them you have, the better because your sound quality is more refined. 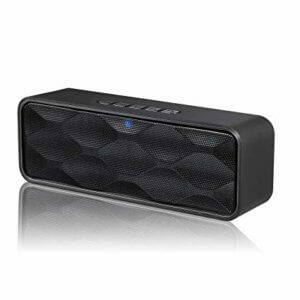 What’s cool about the Anker Bluetooth speaker is its portability. It’s light so carrying it around isn’t a problem. Furthermore, if you’re worried about battery life then this speaker will calm your worries. As long as you don’t blast your speaker all the way up then it’ll be able to last up to 24 hours. The Photive M90 is great for the overall sound quality. And do you know what we mean by sound quality? You might think it just sounds good…which is definitely a big part. But sound quality to us means the frequency ranges it covers. From low frequency to high frequency, this speaker has got it covered. What allows this speaker to do this is its 20 watts of power, and acoustic drivers. 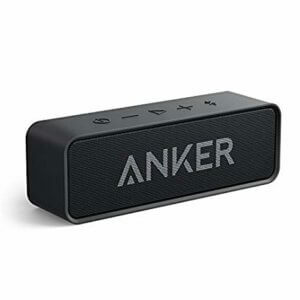 Compared to the Anker’s 6 watts, this speaker is much stronger. Combine this with its passive subwoofer and you got a speaker which covers heavy bass along with high tonalities. Besides its passive subwoofer, you know what makes its bass stand out? Its bass matching technology matches the bass on a song and gives it that extra punch. So if you’re playing a song filled with ridiculous bass, prepare to get even more bass while playing this song. What also makes it great for sound quality is its attention to detail. With its refined sound qualities you can hear small nuances in a track you might’ve not heard before. And you want to know the best part about its sound??? You can play it at maximum volume. This is great for you because if you own this speaker and throw a party, you don’t have to worry about blowing out the speaker while at full volume. There is no sound distortion at maximum volume which is great for you because you’ll enjoy without having to be stressed. This is one of the loudest Bluetooth speakers for its size. 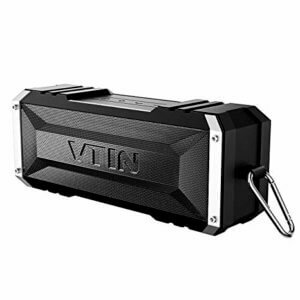 If you’re looking for a portable Bluetooth speaker under $100 in 2018 which has great sound quality then this fits the bill. There is nothing crazy about its design but the combination of metal and rubber makes it great for versatility. The metal, in this case, is great for its rigidity. If you ever drop it on something hard like cement then it won’t demolish, unlike other speakers. But the metal is used for the speaker grills. This keeps it easy to carry but protects against normal wear and tear. Most of the rubber is part of the buttons. This is a great feature because rubber buttons don’t get pressed on as easily. Another benefit is it creates an enclosure around the speakers making it water resistant. With an IPX6 rating, while not the absolute best rating, is still great. This means you can still submerge it in water and it won’t malfunction on you right away. But enough of its ancillary features and let’s get to the meat of the product. What makes this speaker worth its price is its sound quality. Most portable Bluetooth speakers have mono speakers. 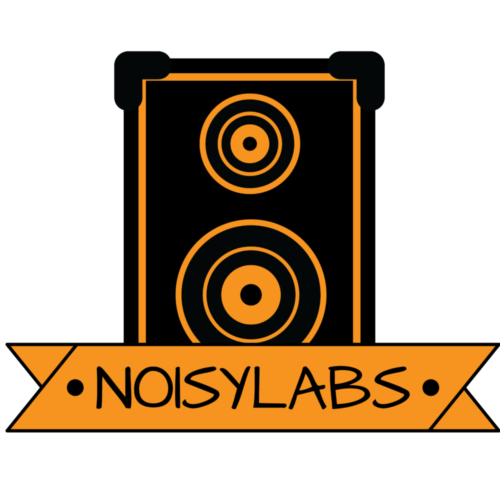 Mono audio is cost-effective but doesn’t have the sound quality as stereo sound. This speaker possesses stereo sound. Stereo sound uses full-range drivers making everything clear. An example of this is a song that incorporates vocals, guitars, treble, and bass. On a mono audio system, there’s a high chance you won’t hear any of that, but with stereo sound, you won’t miss a beat. 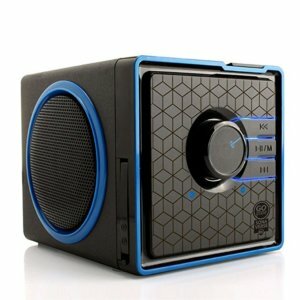 The best quality of this Bluetooth speaker is its sound quality. With 20 watts of power, this makes it powerful enough to be placed outside as an outdoor speaker. Similar to the speaker before this, it also has full range drivers which make it have a range of frequencies. One downfall of this Bluetooth speaker is it has an IP rating of 4. Some might classify it as a strength, but this is only strong enough to get splashed on. If you were to submerge it like the other speakers then prepare for it to break. One advantage of this speaker is it weighs less than a kilogram. This makes it easy to carry around in your backpack or wherever you prefer. 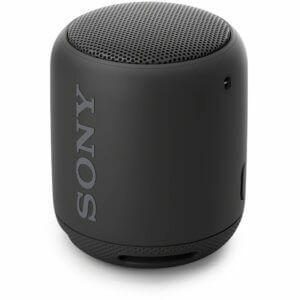 This Bluetooth speaker is great for compatibility because it has great Bluetooth technology which allows you to connect up to 33 feet. In addition to the Bluetooth range is its connectivity to multiple devices. 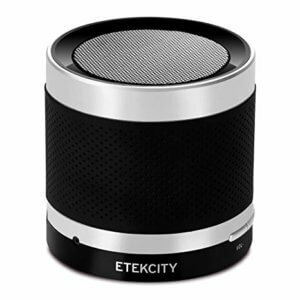 Ranging from smartphones to laptops and desktops, the Etekcity is great for a party because it can connect to anything. What also makes it great is its compact size. It weighs only 6 ounces which makes it easy to carry around. But that’s not enough to compensate for its low power. This Bluetooth speaker can only handle 3 watts. So it doesn’t have the capacity to operate like an outdoor speaker. Compared to other low-powered speakers, this isn’t as great for sound quality because we don’t see any feature of drivers. If there were drivers to refine sound quality then it wouldn’t be bad, but since that isn’t the case we’ll classify this speaker as lower tier. To make up for the low power, it has clear audio. But don’t expect it to fill up a big room because it doesn’t have enough power to do so. The first thing you should notice on this speaker is its simple design. Manufacturers made it simple and light so it’s easy to carry on the go. It’s not as light as the speaker before this but its still light because it only weighs 12 ounces. To keep it light, manufacturers had to go with plastic as its main material. Although it’s cheaper, one downfall to plastic is durability. Have you ever gotten a free toy at a fast food restaurant? Almost all of them are made of plastic because it’s cheap, and cheap allows you to make a lot of them. But don’t let that get you down. Bluetooth speakers under $100 in 2018 like this one are still great for its value. A manufacturer wouldn’t release a product unless it has been tested. Along with its simple design is the simple layout of buttons. There isn’t any unnecessary buttons which make it difficult to use. It contains the necessary features like play or fast-forwarding. As for sound, another downfall of a budget-friendly speaker is its lack of options. With this speaker, you don’t get the option to adjust treble or bass so you can’t play around with different songs. When there is a lack of an option for sound adjustment expect some distortion later down the line. All in all, we would recommend this to anyone who isn’t an audiophile but wants some music on-the-go. Another one of the speakers we’ve previously reviewed. What’s unique about this speaker isn’t its design, but its portability. Most Bluetooth speakers we know are easy to carry around but you have to place them somewhere surrounded by a cover. With this speaker, you can strap it anywhere. This includes your board or backpack and it won’t go off into the wind. Another cool feature is its acoustics. And the reason why its acoustics are great is due to its design. Its circular shape allows it to emit sound waves in every direction. 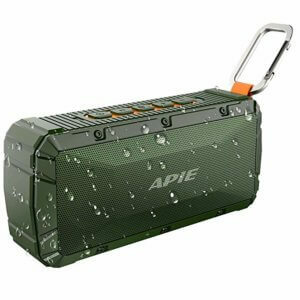 Compared to a regular box designed Bluetooth speaker which only emits sound in one direction, this speaker is made for outdoor portability. That’s certified surround sound if we’ve ever seen it. Plus, if you’re going to walk away from the speaker you can do so from 100 feet. If you’re throwing a barbeque party at your place and decide you need some more fresh beers outside, you can go to the fridge without worrying about Bluetooth connection ruining the music. Every outdoor party needs an outdoor speaker. Its a great speaker with great features. Would highly recommend to anybody who’s looking on the higher-end of a budget. We hate it when a Bluetooth speaker doesn’t have a unique design. It’s like starting out with a bad impression, but with speakers. We can’t say this speaker gives off that vibe. 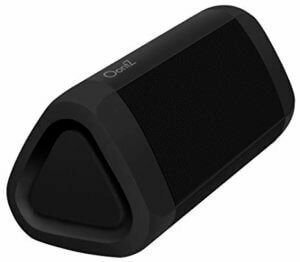 With its triangular shape, you get surround sound effects that work great with acoustics. Although its shape is distinct, do you want to know what’s more surprising? It’s been reported this speaker has been ran over by a car multiple times and still kept working. While that’s hard to prove, we wouldn’t put it out the question although “working” can have different meanings. One big contradiction we’re going to throw at you is its IPX rating of 5. On a scale of 1-8, this is average which contradicts the statement we just made on durability. But hey, when you survive a car we can’t really say you’re garbage against anything. As for anything else related to durability, we don’t have much else you’d get shocked by. Let’s talk about sound quality now. We’ve noticed a trend with speakers…. The more drivers it has, the better it sounds. And this speaker is no exception. It has 2 precision acoustic drivers which give that stereo sound. If you’ve been reading this whole review then you’d know that stereo sound is better than mono sound. It also has great bass because of a passive bass radiator design. And if you don’t know what a passive bass radiator does then we’ll explain it again. A passive bass radiator helps your smaller speaker sound like a bigger speaker. Combine the durability with sound quality and you got one of the best speakers on this list. If you’re looking for a speaker to place wherever then this is the one. Its small unobtrusive design makes it perfect to place in the living room or patio. And even though it’s light and compact, it comes with sound quality because of the passive radiator. Its patented technology of “EXTRA BASS” allows its passive radiator to work with the monaural speaker to emphasize low tones. This is different than a regular mono audio system which deals with sound separation a lot. A stereo system works in unison. An example of this is the combination of left and right speaker channels working together. What’s the most ridiculously designed speaker you’ve seen? If it were this one then you probably haven’t seen our other posts. But this one is definitely unique. And what makes it unique is the LED lighting combined with the shape. It has some resemblance to a boombox but it’s not as big. But when combined with the LED lights you get a Bluetooth speaker under $100 that’ll grab people’s attention. Moreover, the SonaVERSE has quality sound. And do you remember what type of sound is the best quality? If you guessed stereo sound then you’re correct. Additionally, do you know what makes this specific sound great? But if you guessed its 50 mm dual full range drivers then we have a winner! Consider this, the drivers are not placed on the same side, but they’re placed on each side to provide that sweet sweet surround sound. Those same drivers give excellent mids and highs to cover a wide area of the frequency range. It’s a full-on entertainment experience. As for specifications, the speaker has less than 1% for total harmonic distortion. For those who want a head-turner for a speaker then this is a great start because of its features. And even though its looks is a selling point, don’t forget about its sound quality. 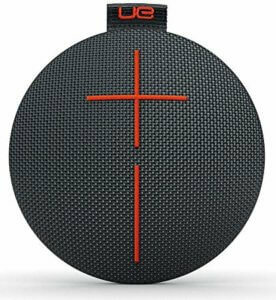 The JBL Flip 4 comes with a solid design because of its shape. Again, the shape makes a difference when it comes to acoustics. Its design makes it ideal for any environment you put it in, whether it’s at your living room table or at the pool. With an IPX rating of 7, don’t worry about it being next to the pool. Its made with materials that make it ideal against water. If you plan on going skiing, check. If you plan on going wakeboarding, check. Its weight of 1 pound makes it easy for portability. If you think about it, combining its rugged materials for durability while keeping it light is an engineering accomplishment built to make it better for the user. You don’t have to worry about breaking it while you’re out and about. And if you’re still not convinced this speaker is one of the best then let us give you 2 more reasons. The 1st of the 2 reasons is its battery life. With lithium-ion battery, you can play it for 12 straight hours without worrying about charge. You can literally spend a whole day hiking or traveling playing music straight. 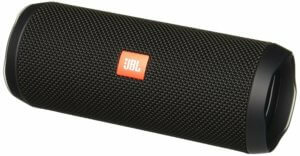 Second, the JBL Flip 4 has a speakerphone. Combine this with voice integration and you have an all-in-one package letting you make/take calls along with asking Siri questions. With all these features this speaker is on the higher-end of a low budget. But with all these features there’s no way it can’t be. One of the best speakers on the market. The TREBLAB and JBL Flip 4 look similar in terms of their shape. It’s probably no coincidence since this shape provides great acoustics. At its size and design, it weighs in at 1 pound. This makes it great for portability. Compared to other Bluetooth speakers here it’s stronger than average. Its 12 watts of power makes it ideal for outdoor events. Besides stereo sound and full range drivers, what is the other component that helps with bass? If you remember then you’re a better person than us for sure. Alright, you’re 1 second time of guessing is over. The component is the passive radiator. What makes this speaker compelling is it has 2 of these radiators. We already know radiators provide that extra “oomph”, but 2?! Now we know TREBLAB is about that action. Talk about making a name for yourself. As a lesser known brand its always cool to see how newer brands try to be a leader in their industry. Want to know another feature which truly separates this from the rest? It’s something we don’t think we’ve seen yet. But it’s a button that lets you switch from indoor to outdoor mode. So if you’re outside and there are too many people making it hard to hear music than this is great because you can just press the button. Once you press it you’ll hear the speaker get louder without distortion. Perfect as an outdoor speaker. If there’s one thing we need to nitpick about this Bluetooth speaker is its IPX rating of 4. We would like to see a rating of 6-7 because then it can at least be near water, but 4 makes us wary. Equally important is its durability against wear and tear. This speaker isn’t tested against being dropped and that gets us concerned because we know dropping it is likely. So what happens when you drop it? We personally don’t know but the fact the manufacturer doesn’t state anything about it gives us pause. And if it makes us concerned, we would think you’d be concerned too because you don’t want something that’ll only last a couple months. Anyways, as far as speakers go, this is still quality because of its sound. Think of this speaker like an Aston Martin. Great sound quality, but its prone to having a lot of problems down the line which cause a lot of maintenance and worrying. When the price range goes from $0-$100 you’ll have plenty of choices for Bluetooth speakers. You’ve seen the higher-end of this budget and the lower-end. And of course, the higher-end Bluetooth speakers are a better overall package. But we ask you not to discount the lower-end speakers because they still provide quality even at their price range. One thing we advise you to do when choosing a speaker is to keep sound quality and durability at the top of the priority list. It’s easy to get caught up in cool features like LED lighting or voice integration, but it’s important to stick with the foundation. Once you’ve done that go ahead and look at the other features and you won’t regret whichever speaker you pick.